Director Ann Fessler | USA, 47 min. This poignant and powerful film explores a dark side of closed adoptions: how unmarried pregnant girls and women were coerced to relinquish their newborn babies in the 1950’s and 60’s. Q&A following, with Karen Wilson-Buterbaugh, one of the film participants. Matthew J. Evans takes a look at one of the most pressing issues in our modern society: violence among religions. 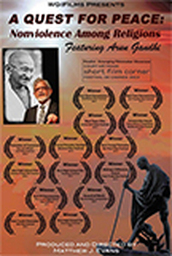 Through discussions with Arun Gandhi, grandson of M.K. Gandhi, and local religious leaders from the Central Coast of California, Matthew learns powerful lessons about nonviolence, acceptance, and cultural understanding. As Gandhi has said, 'We must become the change we wish to see in our world!' This film helps us understand how we can make these changes. Director Yi Chen | USA, 26 min. An Intimate portrait of three Chinese-American residents living in a gentrifying community behind the largest Chinatown archway in the nation. 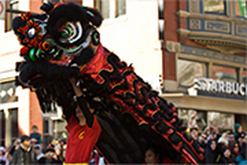 Established in the 1880’s, Washington D.C.’s Chinatown has been disrupted over the decades, most recently in the 1970s when a section was demolished for a convention center. The city’s urban renewal and redevelopment plans for Chinatown followed shortly after, and today’s older residents must struggle to maintain their neighborhood’s authenticity and find their place in a dramatically changing environment. A free program with a professional documentary film consultant that puts you in the creative driver's seat as you help an independent filmmaker finish his or her work. Two films will be screened for feedback: Living Coal and Mr. Besley's Forest. There's nothing like getting a reality check from a real audience! Director-Producer Matt Dworzanczyk | Vietnam/North Korea, 59 min. North Korea lies somewhere between a 1930′s Soviet Union frozen in time and a dark, futuristic vision of society... as imagined back in the 70′s. "Land of Whispers" invites you to visit arguably the most unique and isolated travel destination in the world - not to criticize, but to observe and listen. Aside from usual highlights such as Pyongyang or Arirang, this unique one-man documentary brings you to areas such as Chongjin or Wonson, still virtually unknown to even google or wikipedia. There, the director attempts to pierce through the ever-present 'national mythology' and as much as possible, he tries to connect with the people - such as the waitress mesmerized by tablet computers, or a tour guide cautiously fascinated by modern pop culture. Director Nick Kalbach | USA, 30 min. 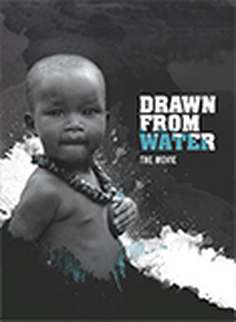 Drawn from Water takes you to Ethiopia’s Omo River Valley revealing the tragic destiny of "mingi" children. 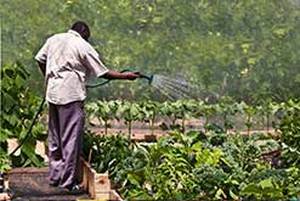 Mingi, a bad omen or curse which is thought to bring drought to the land, presents an epic life struggle for families of children bearing certain characteristics. Children who are deemed Mingi are considered cursed and typically drowned in the Omo River. Drawn from Water tells the story of one courageous tribal member, and a small group of photo-journalists, who were challenged to act on behalf of the mingi children. Through their courage to intervene, not only were children rescued from an untimely fate, but sweeping cultural shifts were initiated throughout the entire region. 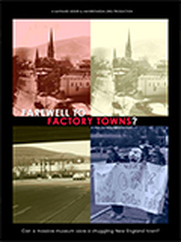 When a New England town creates an art museum in an old building, it fails to produce the jobs promised, and the city's downtown remains semi-deserted. Should national policy change to bring a new “New Deal” to such towns? Director Subhrajit Mitra | India, 39 min. A group of young girls in West Bengal, India have lost or been separated from parents serving prison sentences. In this moving documentary, the children, cared for by nuns, continue to thrive as they nurture their inner talents. Co-Directed by Nitin Sawhney and Roger Hill. |Gaza Strip, Palestine, 71 min. Some Palestinian youth set out to shatter the Guinness World Record for the most kites ever flown. 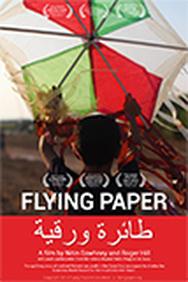 Flying Paper showcases the creative resilience of these children making and flying kites despite the difficult realities they face in their daily lives. 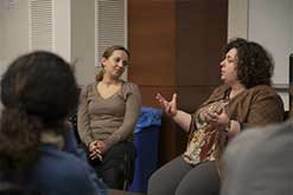 The film was co-produced with young Palestinians in Gaza trained by the filmmakers through a youth media program called Voices Beyond Walls. Through the perspective of children and young people comes a story of determination and artistic expression as the youth in the film work together to achieve a shared goal. A dramatic short film that takes an abstract journey through the mind of an aging Veteran battling Post-Traumatic Stress Disorder. In a place he typically finds a small slice of solace, he encounters a seemingly drunk and oddly familiar stranger. The two share a curious, contentious conversation, which leads the veteran to divulge the demons of his past in an attempt to make peace with what remains of his future. The film’s mission is to be a springboard for dialogue and discussion about combat PTSD, within both the Veteran and civilian communities; to bridge the gap between the two; and to help end the stigma of invisible wounds. 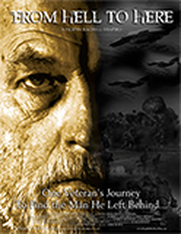 From Hell to Here attempts to make the issue of Post-Traumatic Stress understandable, approachable, and engaging to the veteran and civilian community. Gaining Ground shows how a diverse Boston neighborhood has managed to revitalize itself and yet stem the tide of gentrification through innovative housing programs. Director Steven Miosku, Producers Kyle Arpke, Jessica Farrell, Travis Thorp, Eric Wescott | USA, 18 min. After his daughter’s near-fatal accident, a single father tries to decipher the strange gears he begins finding throughout his home. Director Nicholas Judt, | USA, 7 min. An abstract tour through one teenage boy's memories of growing up in New York City. 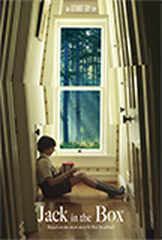 The film follows this boy as he retraces key moments from his life in hope of once more reconnecting with his past self before progressing towards a future identity. In doing so, he also revisits the bittersweet memories of a relationship he had with a girl his age. As the film progresses, the lines between memory and current reality begin to blur, leaving the boy--as well as the viewer--in a state of intense experiential uncertainty and sorrow. Director Alexander Gray, Producer Anastasia M. Cummings |USA, 21 min. Based on the thought provoking short story by Ray Bradbury, a young boy living inside a secluded mansion with is mother is raised to believe his house is the universe and he will one day become God of the universe. After witnessing evidence of life outside the universe the boy begins to question his mother's lies and unravel the fabric of his existence. 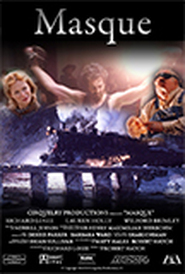 Director Jeff Krulik | USA, 90 min. 1969: Man lands on the moon. Half–a-million strong at Woodstock. “Sesame Street” makes its debut...and Led Zeppelin performs in the gym of the Wheaton Youth Center on Georgia Avenue in front of 50 confused teenagers. Or did they? Director Jeff Krulik will lead a Q & A following his film. Director Anna Fischer, Producers Anna Fischer and Thomas Simon, Editor Thomas Simon | India and Nepal, 56 min. A full-length feature documentary that winds through India’s railways and stations, in the company of destitute children who have made Indian Railways their vast network and home. Confiding their life stories, fears, hopes and dreams, these disowned and abandoned youngsters astonishingly entrust their sobering reality to Lucky – former train station vagrant. Through him, we experience a rare and intimate connection, shaping the tone of the film. Criss-crossing the plains of India all the way to Nepal, we wind our way up the foothills of the Himalayas in search of Lucky’s family. Directors Jim de Sève & Kian Tjong, Producer Kian Tjong, | Indonesia, 65 min. In a peculiar travelogue, two filmmakers dive into an ancient rite of manhood in Islamic Java – the tender and raucous sport of the singing doves, the Indonesian NASCAR. 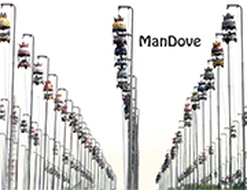 “ManDove” follows the magical perkutut birds casting spells on men, taking them away from their wives, and pitting them against each other to prove their masculinity. Director Robert Hatch | USA, 40 min. Defying a fate of destruction and despair, a scarred and evil prizefighter, henchman, and gambler conscripts the artful skills of a gifted benefactor to change his face – and fate. 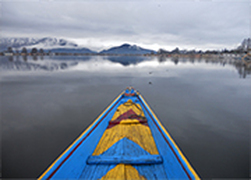 Kashmir is a place celebrated for its legendary beauty and culture. This is also the place where tens of thousands have died in the midst of years of conflict and deadlock between India, Pakistan and separatist Kashmiris as each lays claim to the region. By bringing to light the human stories of these young Kashmiris who are invested in peace, the film explores the voices of a generation that has grown up in one of South Asia's oldest and deadliest conflicts, presenting a unique perspective and raising crucial dialogue about the cost of militarization, human rights violations, and the desire for justice.